Chrysler is named after the founder Walter Chrysler. The trademark of Chrysler is like a pentacle medal. This logo embodies the lofty ideals, aspirations, struggle as well as the pursuit of wining the competition of Chrysler family and employees. The five parts of the pentacle represents respectively five continents (Asia, Africa, Europe, America, and Australia). It means Chrysler cars are sold throughout the world. Chrysler steel wheel rim are the front brake and rear brake. The wheel design is the five continents mark. DODG, PLYMOUTH steel rim is equipped with the handbrake brake, which can add charm to the entire car body. Wuxi Hengsheng Wheel Co., Ltd is a professional Chrysler steel wheel rim manufacturer and supplier in China. In addition to Chrysler steel wheel rim, we also provide other famous models steel wheel rims for our clients around the world, like Audi wheel rim, Buick wheel rims, Cadillac wheel rim, Chevrolet (GMC) wheels, Daewoo wheel, FIAT style wheels, etc. 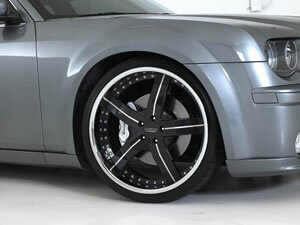 We possess a professional technology team to guarantee the manufacturing of Chrysler steel wheel rim. We will checkout all the products and give out a survey report. According to the needs of every client, there will be a dynamic balance sample survey among parts of the qualified Chrysler steel wheel rim.